Back in November 2011 we reported on Indian flying schools under fire for breaching training guidelines. 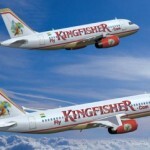 Now, according to NDTV, the country’s regulator (the Director General of Civil Aviation or DGCA), which had already come down heavily on airlines Kingfisher and Air India Express for ignoring safety requirements, has also found serious lapses on the part of other carriers. NDTV points to serious safety concerns among almost all the leading airlines in the country including IndiGo, SpiceJet, Jet Airways, GoAir, Alliance Air and JetLite. They have been slammed by the DGCA for issues like non-reporting of incidents, lack of pilots, proper and regular training, absence of qualified safety officials and non-compliance of safety audits. The airlines have been given until next week to come up with plans to rectify and resolve the problems identified in the financial audit, which also found evidence of widespread sickness in the sector which impinges upon the safety of flight operations.